In order to have payments from your web site processed by the credit card networks you will have to apply to an approved Payment Service Provider, known as a 'PSP'. Their function is to integrate your e-commerce enabled web site with the international credit card networks so that orders generated by your chosen 'shopping cart' software can be authorised and payment collected for you. This payment will be transferred to your merchant account for payment into your bank account. As you might expect you will have to go through an application process in order to get your agreement in place with a PSP. Their terms and conditions and charges vary enormously from one PSP to another and it is very difficult to make exact comparisons. You need to be aware, however, that whatever charges your PSP makes will be added to those charges which are levied by the bank providing your merchant account. 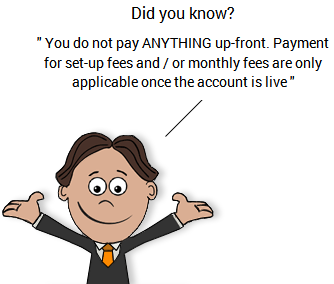 This means you may well end up paying two lots of set-up charges, monthly/annual fees, and, worst of all, two lots of percentages on every transaction. Finally - once you have dealt with the application process for your selected PSP, you will need to confirm with your bank that they will accept Internet generated transactions, because even if you have a Merchant ID it does not guarantee that you will be allowed to use it for sales from your web site.